Have you ever heard someone say, “I wish I had less documentation around this issue”? How about, “I wish the information available was more vague”? If that sounds as ridiculous to you reading it as it does to me writing it, you probably also wonder why development and test teams operate so blindly. There are coding standards they must adhere to. There are standards for consistent use of data and update mechanisms. And yet, everyone is worried about breaking something when moving code through the shop’s systems development life cycle (SDLC). The need for high quality, accurate analysis information is more critical today than it’s ever been. It would be a game changer for teams to be able to make informed decisions during regression and user assurance testing, in parallel. To deliver today’s software assets (rather than tomorrow’s legacy headaches) with less risk, development and test teams need a continually updated view of application code components across development, test and production environments, plus role-based views according to job function. For developers. Being able to assess impact and perform “where used” type analysis would allow them to focus exclusively on the affected components, greatly reducing the risk that structural defects will manifest themselves at the time of integration tests. For testers. Being able to understand which application components are affected by changes would translate into building more comprehensive test plans. Once the tests are built, having access to accurate code coverage data for analysis would let the testers optimize those plans, significantly streamlining and improving the testing process. The objective of IBM Application Discovery and Delivery Intelligence (ADDI) is to empower developers and testers. ADDI allows technical teams as a whole to exchange information around all of the applications in the codebase. This creates an environment that makes it possible to make application software improvements across technical platforms, providing an accurate basis for integration, risk-based regression and user acceptance testing, since all changes can be executed in parallel and packaged for release. ADDI gives teams a single common toolkit, letting them conform to architectural constraints, coding standards, the use of common services and interface mechanisms, compliance regulations and more. When you empower developers and testers, you give them the tools to make confident, educated decisions. You can also save resources, time and effort while reducing errors and speed time-to-market with fixes. 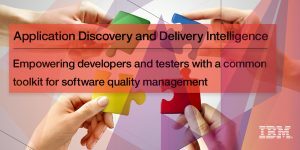 Learn how the IBM Application Discovery and Delivery Intelligence three-step approach can help drive business success from implementing software quality management. Help your developers and testers help you: give them ADDI. 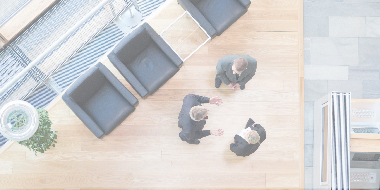 For more information, please visit IBM Application Discovery and Delivery Intelligence. This is the second part of a series of three posts. Read the first part here.